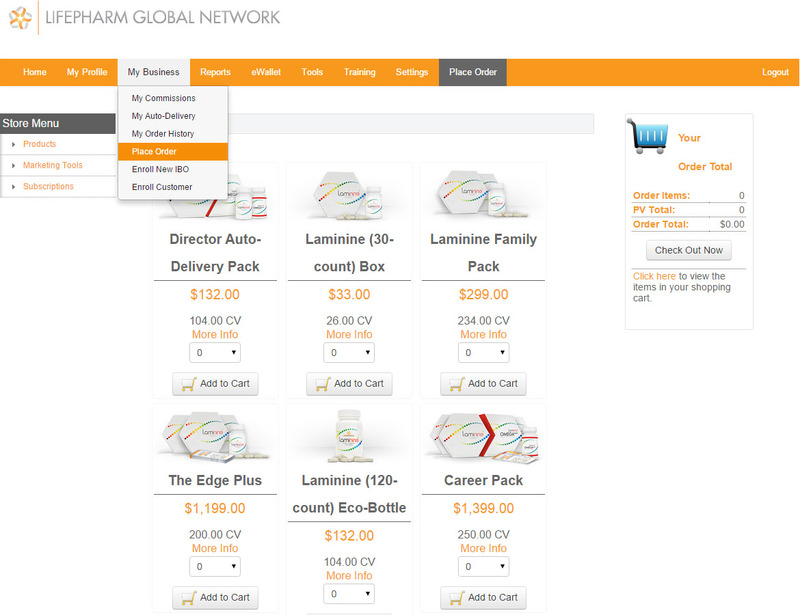 If you have previously bought Laminine using the JOIN NOW option, you are given an ID or IBO number that allows you to access your FREE Virtual Office (also called back office). You do not have any obligation to maintain your Virtual Office, but if you are a regular customer or wishes to maximize getting a discount in the form of a rebate, use your Virtual Office each time you make an order. 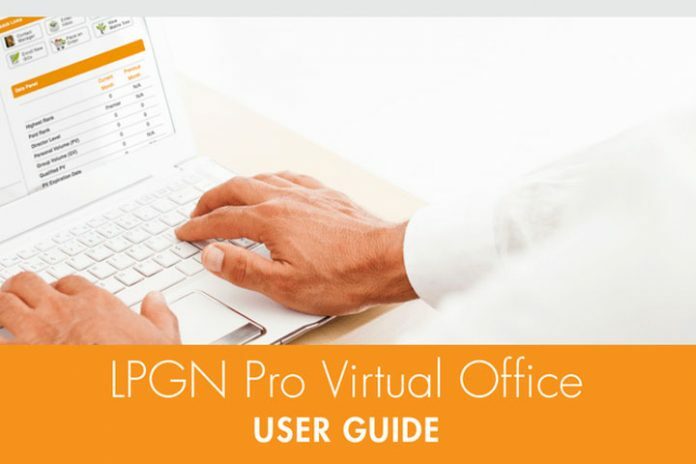 Virtual Office PRO allows you to order, maintain your account, download resources, promote and contact your own downlines, and virtually do a global online business right in the comfort of your home and yes, a coffee shop. 1. Click here to login using LifePharm or LPGN (parent company) back office portal. 2. Fill in your username and password. If you forgot either of them, please click here to send the request using the original email you used when you registered as a member. 1. Choose PLACE ORDER on the quick front menu or inside your account. 2. If you plan to use your EWallet to pay for your order, please ensure you know your EWallet password. If you want to maximize getting rebates, check your PV or Personal Volume (points that are equivalent to the products you or what your downline sold for the month). If you have more than 10 members under you (Premier rank), make sure you have an active PV (not set to zero). This will enable you to get spill-over bonuses and get a higher commission. You can activate your account by ordering one box (for two downlines) and two boxes/bottles (for ten downlines). If you have a big network already, make sure your PV is at least 52. Highest Status – Your status depends on the number of downlines (direct sign ups) you have. A premier rank (at least ten direct members), enables you to receive higher commission or bonus. Director Rank – Indicates the highest level of sales which begins with being a Silver Director. Followed by Gold, Platinum, or Titanium Director. PV – Personal Volume (Points based on the products you sold). The higher the PV, the higher chances of getting more bonuses. GV – Group Volume (You and your own network’s points). The higher the PV, the higher chances of getting more bonuses. The group includes your downline’s downline and spill-over downlines from your upline (Althea Distributor as your upline). PV (Last ‘#’ days) – Reflects the equivalent point of the item you purchased. For example, a bottle of Laminine gives you 26 PV. # of Days Until PV Expires – Indicates the number of days until your PV expires. 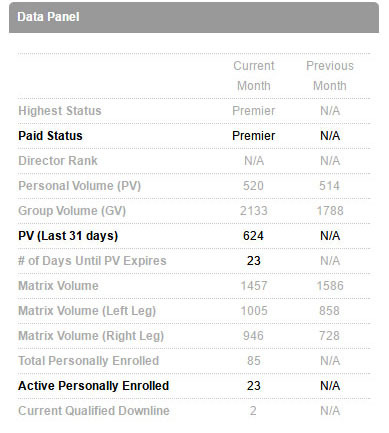 Matrix Volume – Reflects total while having more than 4,000 PV on your LEFT and RIGHT qualifies you to a director status. Why maintain an Active Account? By maintaining your IBO account, you get bonus or commission, depending on the number of your downlines. Downlines are the customers who ordered an Activation Package (or equivalent) through your free replicated website. If you’ve been selling Laminine for at least six months, it is likely that you can take advantage of getting the spill-over bonus. These are sales from your downlines, or downline’s downline purchased under you. This is known as “residual income” (networking) which is shown in your MATRIX TREE. The more direct downlines you have, to more chances of having a wider and bigger network. → Click here to know more about Laminine compensation plan. One of the advantages of joining an MLM company is having income even without doing so much. Residual income (also called passive, or recurring income) is income that continues to be generated after the initial sale has been expended. If you’re no longer interested in actively selling the product but have a huge network, you can still earn from your downlines by maintaining your account each month by buying at least one (1) bottle of Laminine. If you have more than ten direct members, maintain at least two (2) bottles each month. This indicates the number of days left until your account expires. Please renew it buy ordering Laminine before it expires. Also known as autoship, having an active PV ensures that you will receive bonuses and a higher level of rebate. 1. Login to your Virtual Office. 3. Just follow the instruction and choose 1 Box or 2 Boxes (for Premier rank). 4. You may choose to pay using your E-Wallet or Credit Card. 5. Please print or keep a record of your summary order. If you chose “Join”, you buy Laminine at ‘wholesale’ price and may earn rebates or bonuses each time you buy (depending on the rank and type of purchase). This is optional and you may cancel annual membership anytime. → Click here how to cancel or remove your annual membership fee. Benefits of the annual membership fee? 9. Free subscription to ‘The Connection,’ the weekly LifePharm eNewsletter. You can cancel your LifePharm membership at any time. However, we encourage you to renew to keep your IBO product discount and all the benefits listed above. IBOs/Members will have their renewal fees automatically collected from their eWallet. Your account is due to be charged tomorrow. However, if you do not have sufficient funds in your eWallet, your credit card on file will be charged. 1. Login to your account and go to ‘PLACE ORDER’ (upper right menu). 2. Go to ‘SUBSCRIPTION’ (right column). Do I really need the Virtual Office PRO? LifePharm Global Network gives 90-days free access to the PRO version. This added service to your back office is optional. If you choose to ignore it, you will still have access to your all-new 2015 Virtual Office. Account management of your downline will not be available, but the rest of the basic and important features will still be there. 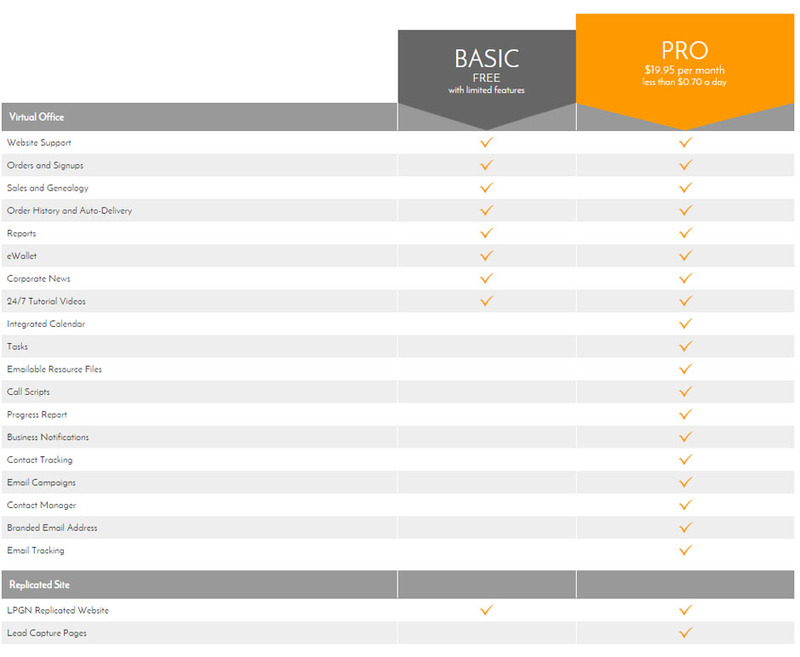 → Click here to compare PRO Virtual Office (with monthly fee) & Free Basic Virtual Office.